It was Pizza Day in my Bigs’ class yesterday!! You can tell by the number of “!” how excited I was. I am so food-inspired. It’s weird. Anyways, my Bigs was excited too! 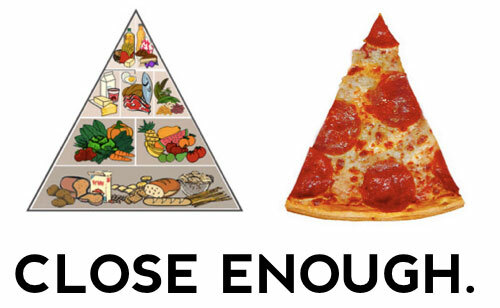 We love our pizza – OBVIOUSLY. I make a lot of it. We eat it a lot. Even Smalls likes it. And he likes saying it…”Peepoo, peepoo, peepoo!!”. He’s cute. 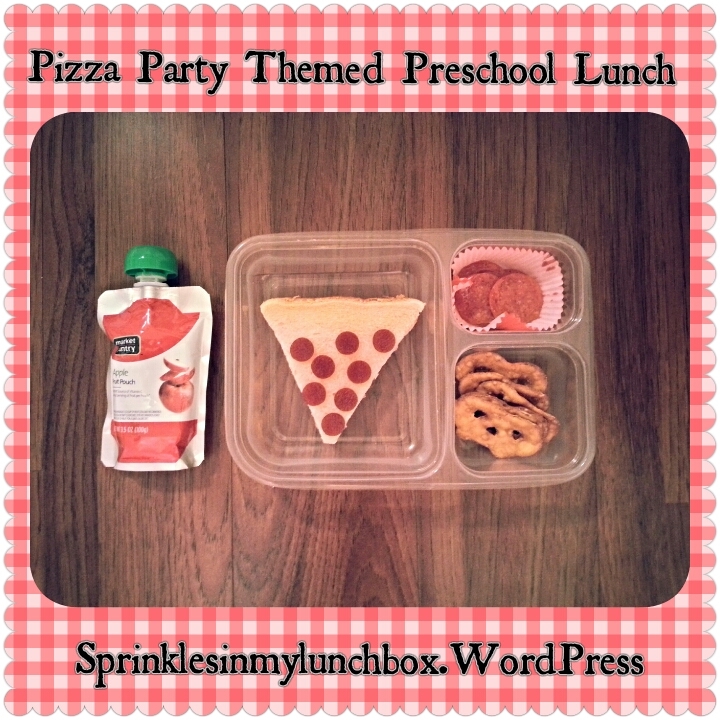 I made Bigs a pizza-themed lunch, also obviously. It’s what I do. This one was so much fun to make! I made a pizza-shaped PB&J (this kid and his PB&J’s!!) and used my food-safe spray to make a golden crust and sort of reddish sauce. 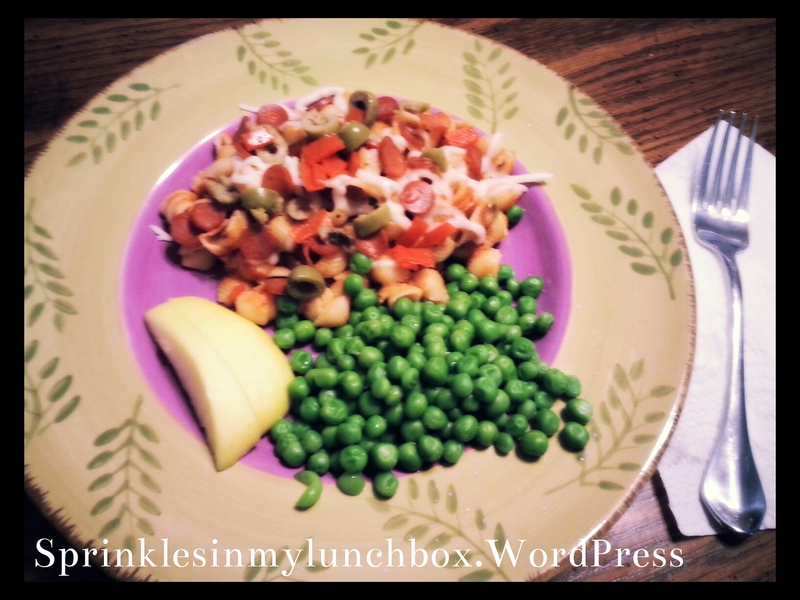 I cut out fruit leather “pepperoni” (I add the crusts and bread leftovers back into the bento after picture taking – no one wants to see those things), which served as his dessert. I added pretzel chips and real pepperoni so Bigs can make little snack stacks. Is that even a phrase? He also has an applesauce squeezy fruit. I got such a hoot out of making this. I can’t even handle it. And obviously, we had to dress the part! I can’t help myself! 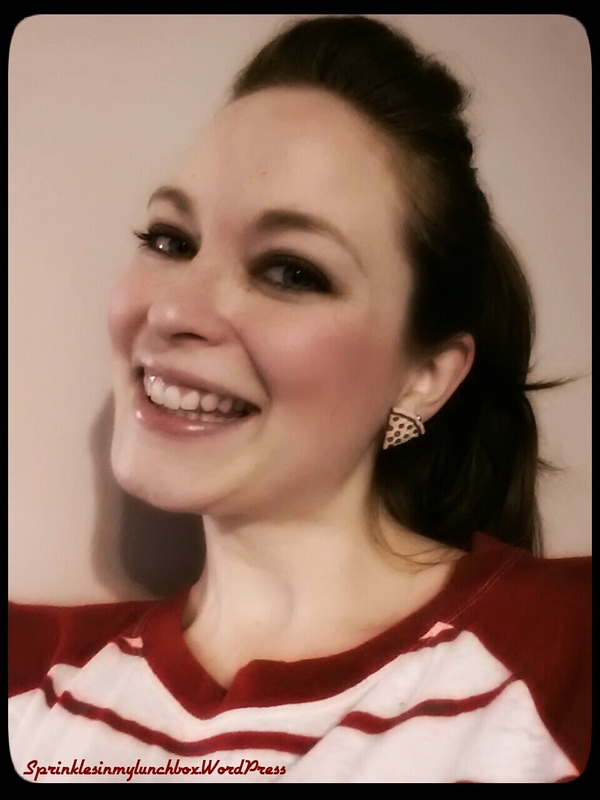 Just a red and white striped shirt (my friend, B, let me know that she found Waldo!!) 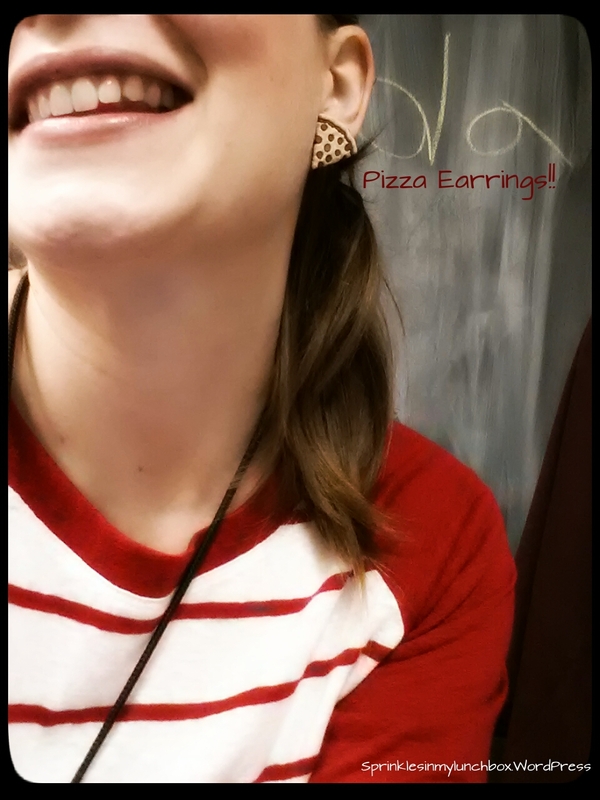 and…PIZZA EARRINGS. I can’t even. Food jewelry makes me happy. Is that weird? 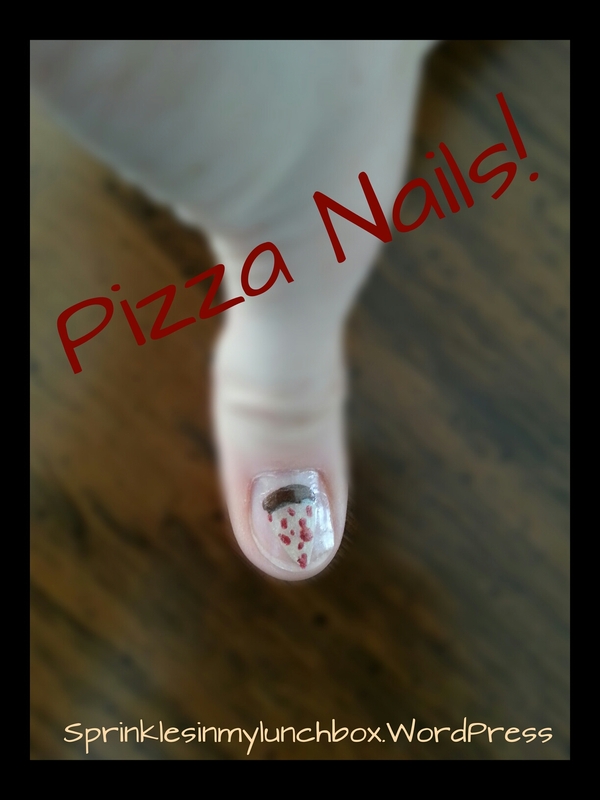 Anyways, I painted pizzas on my nails too. Was it too much? All the girls in Bigs’ class squealed with delight when I showed these to them. The boys could care less, although Bigs and Smalls liked it, at home! I do it for the kids. What can I say? And Bigs dressed the part too (Smalls always matches big Brother, so he had the same shirt on that day too), wearing a shirt with pizzas having a party. I know. I know I’m ridiculous. I admit and accept that. 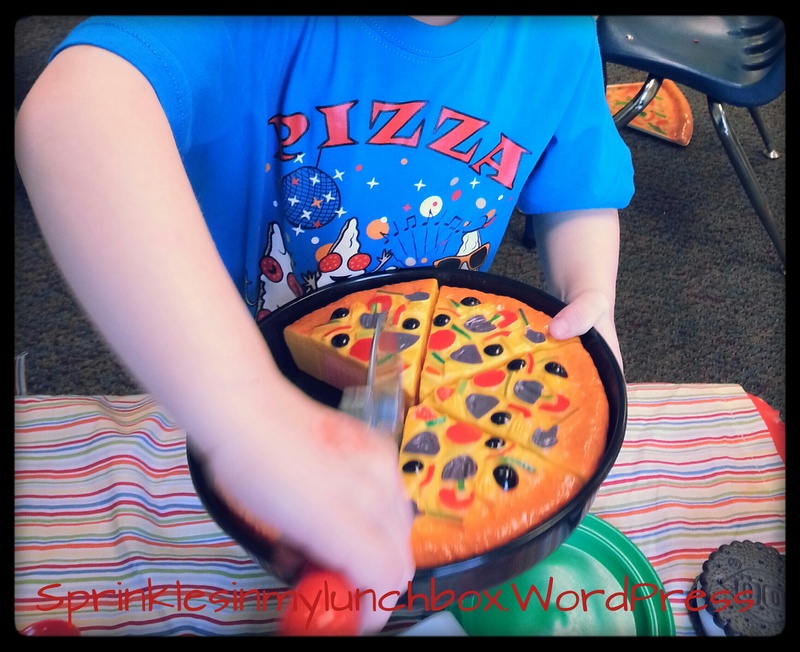 Bigs’ wonderful teacher had really fabulous pizza themed activity centers! 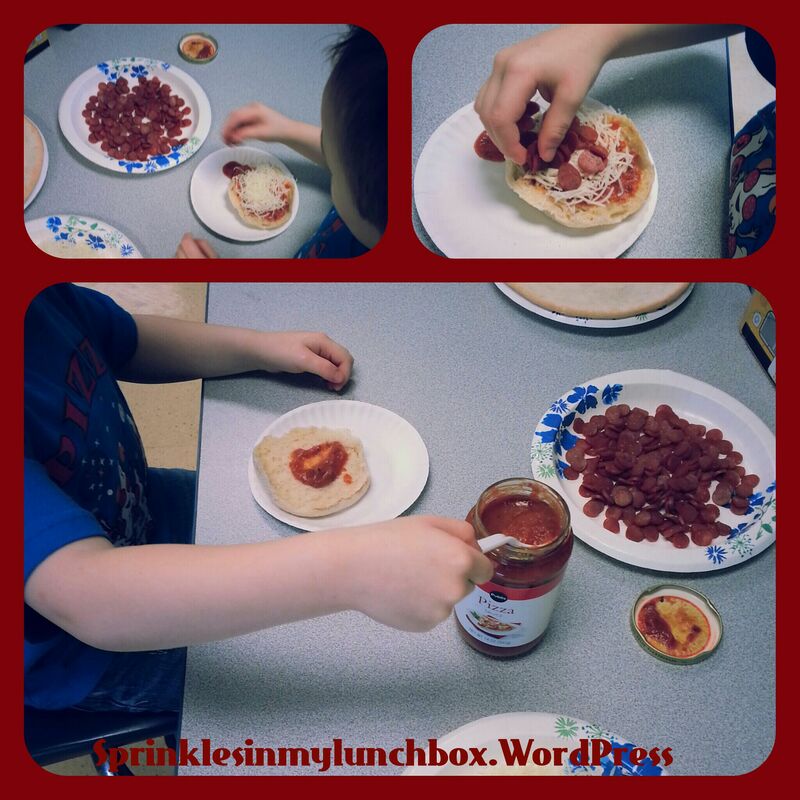 And for snack time, each kid got to make their own little English muffin pizza. It was so fun! 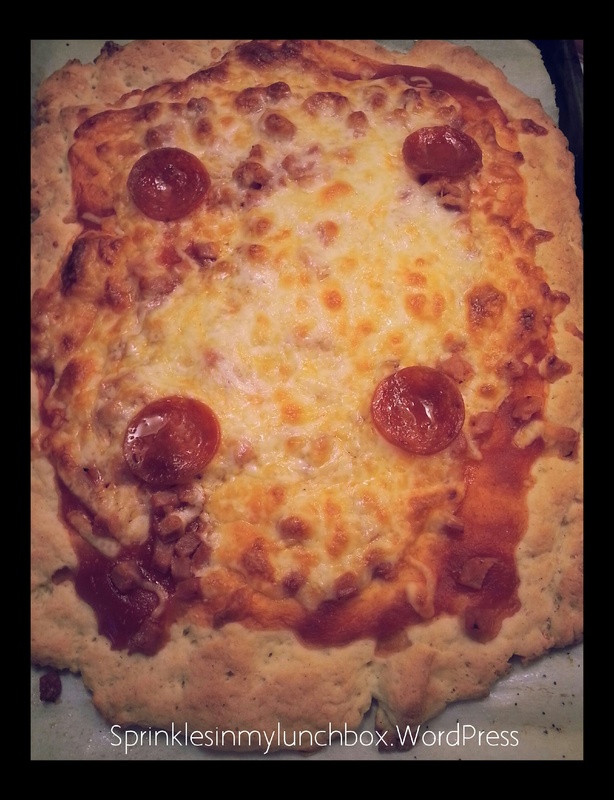 I loved seeing how different each pizza came out. 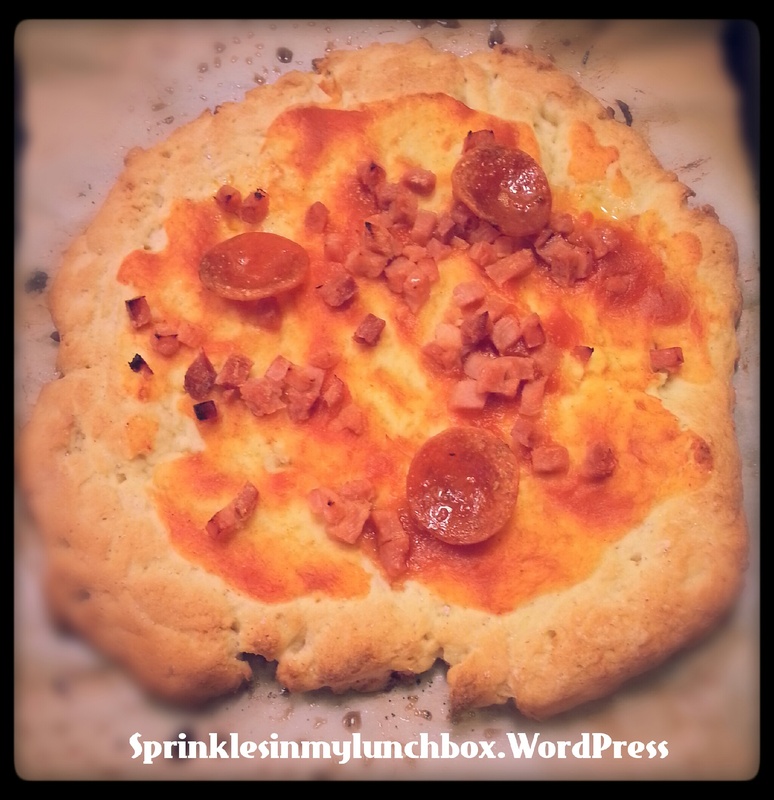 This has sort of been a pizza week for us. I made Pizza Pasta earlier in the week. I made it up. I mean, I’m sure it’s been done a time or thousand, but I came up with it on the fly, with what I had. It basically came out of when dinner time rolled around and I hadn’t thawed anything. And it worked with our pizza theme. 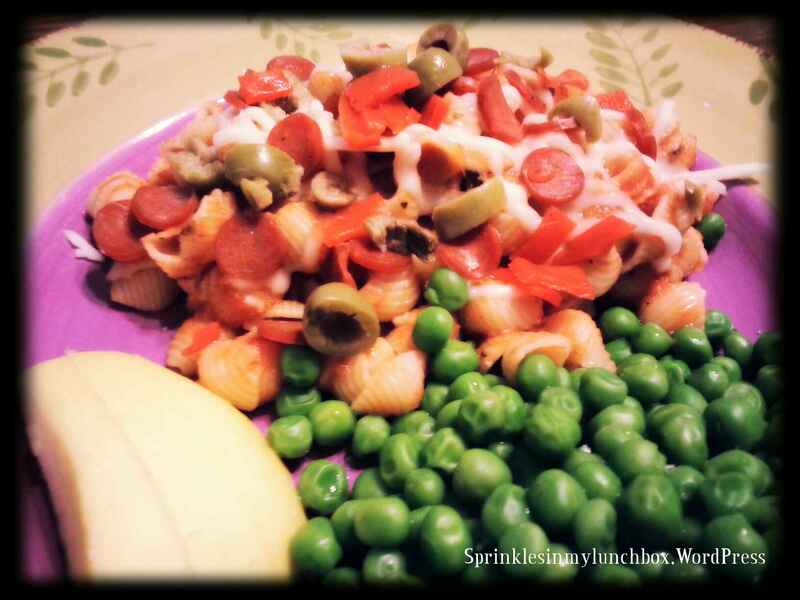 I mixed spaghetti sauce with teeny pasta shells (GF for Husband), added mini pepperoni, cheese (none for Husband), and olives, only for me. I served it with peas and apples. It was good and it totally looked like I planned it. And today, Friday, I made pizza for dinner. Just to “round” out the week. It’s pretty good. 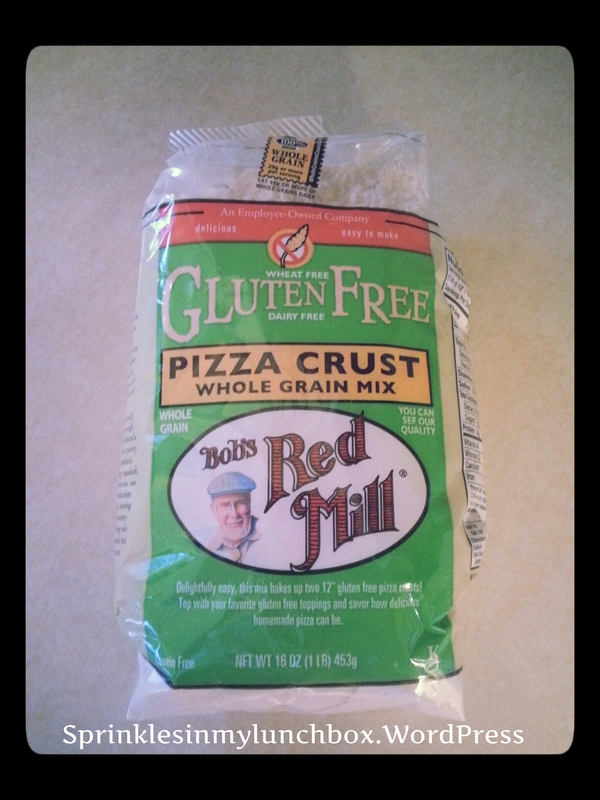 It comes with a packet of yeast, so it’s at least more like a “real” pizza crust. This was the pizza for Bigs, Smalls, and me. GF, but with cheese, ham, and pepperoni. My husband’s looked a little more pitiful without the cheese and three lonely pepperonis. But dessert made up for it (it IS Dessert Friday, after all!!)! 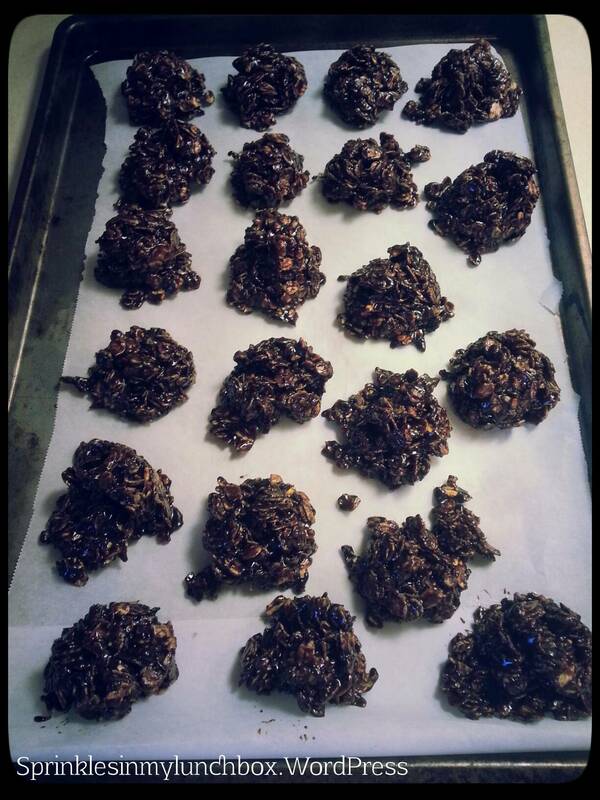 I made vegan Chocolate Haystacks. 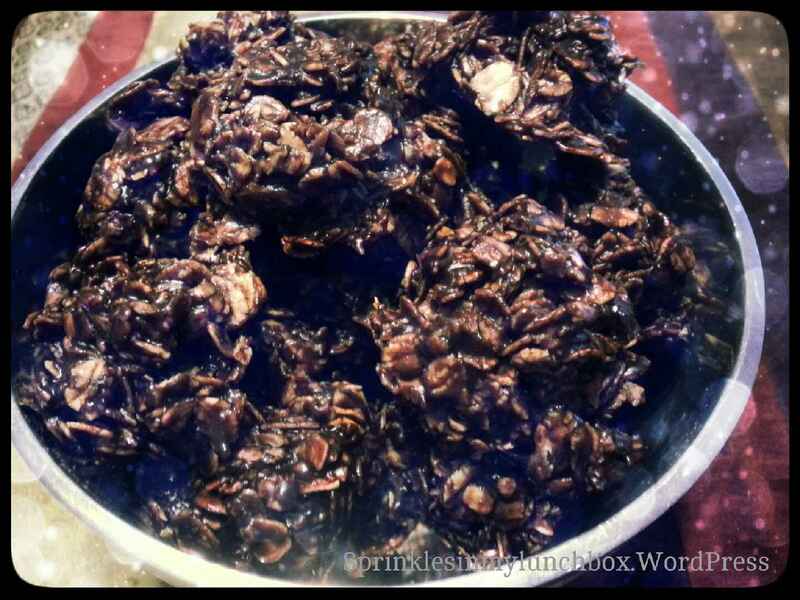 This simple recipe consists only of making a quick, vegan chocolate sauce, mixing it with rolled oats, and freezing. That’s it! They came together in minutes and were fantastic! 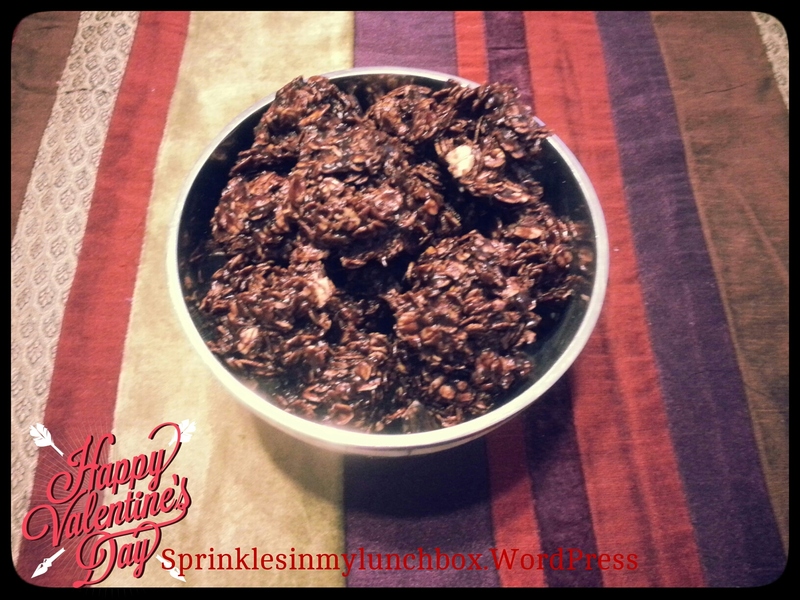 I think these would make for a really lovely Valentine’s Day dessert. Try them! 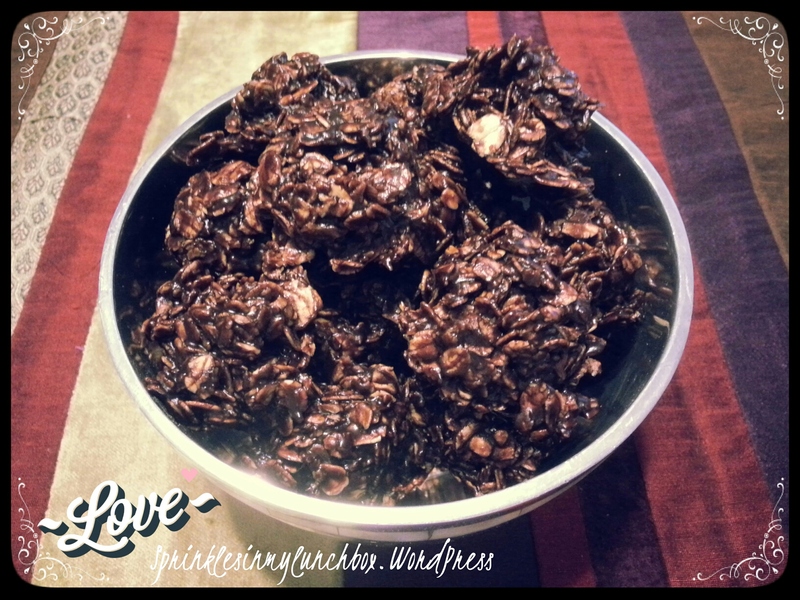 They are so easy and you probably have all the ingredients! Aren’t they just gorgeous? I meannnnnn….. 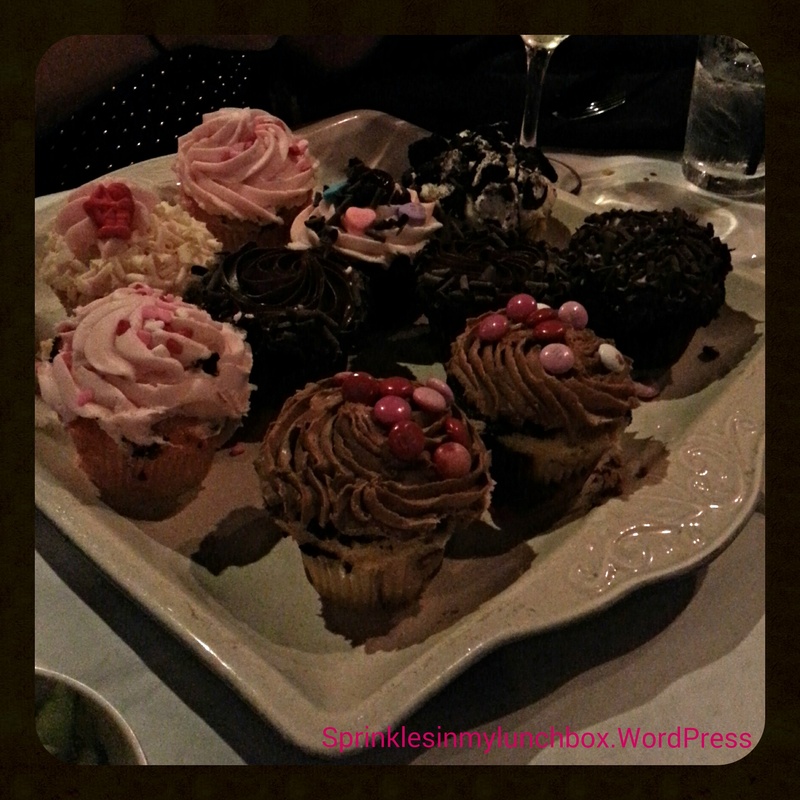 I can barely contain myself where there is a cupcake around. Just wonderful. I hope you all have had a lovely week and that your weekend is just as lovely!